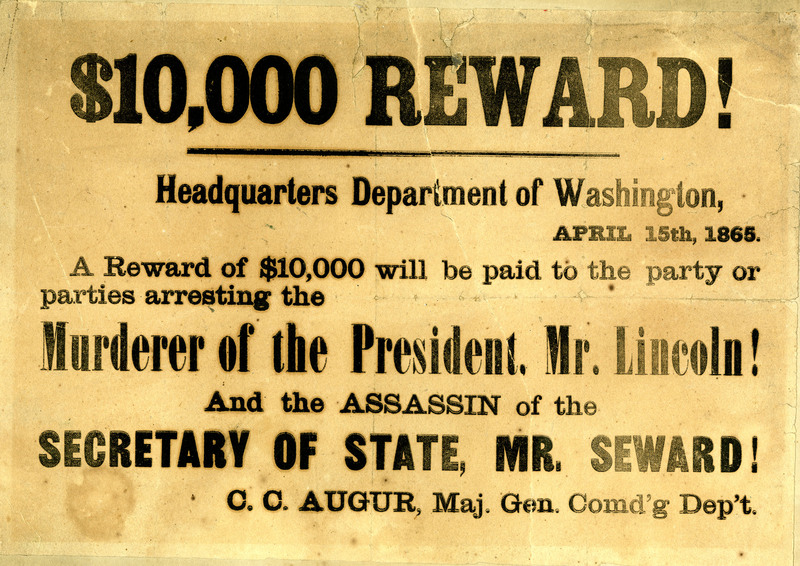 Notice issued on April 15, 1865 by the Headquarters Department of Washington offering a reward for the arrest of the assassins of Abraham Lincoln and William H. Seward. Signed by C.C. [Christopher Columbus] Augur, Major General, Commanding Department. This image is in the public domain. Use or display should be accompanied by the credit: Courtesy The Historical Society of Washington, D.C.